You are going to Watch One Piece Episode 397 English dubbed online free episodes with HQ / high quality. Stream Anime One Piece Episode 397 Online English dub Major Panic! Desperate Struggle at the Auction House. After Luffy punches Charloss, the guards begin to attack the Straw Hats, and most of the observers, except for Charloss’ family and Kid and Law’s crews, evacuate. 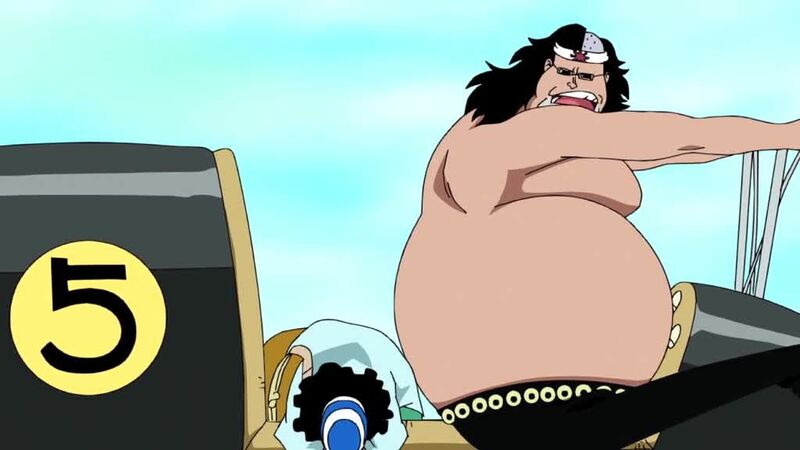 The Straw Hats fight the guards as Robin, Brook and Usopp arrive to help, with Usopp accidentally knocking Rosward unconscious as he falls through the roof, and work to save Camie. The Navy alerted to Luffy attacking Charloss, and surround the auction house. An infuriated Shalria attempts to kill Camie, but is knocked out by a sudden burst of “Haki” from Rayleigh, who emerges from backstage and reveals himself to Luffy.